There are many different types of oral issues that can be bothersome. 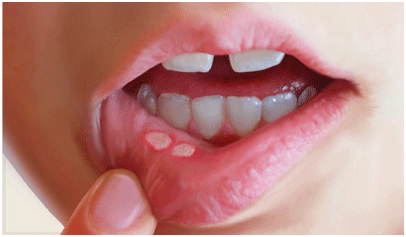 Canker sores, also known as chancre, are one of them. If you have ever experienced a canker sore, you know that it can strike out of nowhere and be embarrassing, as well as painful. So what exactly causes them, and how do you treat them? Here is the lowdown on these pesky sores. Canker sores are small ulcers that form on the inside of the mouth on the lips, cheeks, or gums. They can sometimes be found outside the mouth and make it super uncomfortable to talk and eat or drink, especially when they come into contact with acidic foods or drinks. The canker’s flesh is typically white and very tender to the touch, with red skin surrounding it. Unlike its close cousin, oral herpes, also known as cold sores, canker sores are not contagious. The cause of canker sores is generally unknown. They can affect anyone, but mostly women between the ages of 10 and 20 suffer from them. It has been proven that consuming foods that are high in citrus, including oranges, lemons, tomatoes, strawberries, and pineapples can trigger these sores in people. Sugary foods, such as candy and soda, can also cause these sores to pop up. Dental appliances, biting the inner cheek or tongue, or badly fitting dentures can also lead to canker sores. This is why it is important to get the best dentures from your dentist. Canker sores, while painful, are not dangerous and will typically clear up on their own after a week or two. If you experience more than four or five canker sores per year, you should consult with your doctor, as it may be a sign of a more serious issue. Most often, canker sores will clear up on their own. They can also be laser treated by a dentist, which provides immediate relief from the pain they cause.Typically, you should avoid foods and drinks that are high in citrus or that are extremely sugary. Also, be sure to brush your teeth after every meal to guarantee no bacteria or food particles aggravate the sore. If you have any further issues, it is important to always speak with your dentist regarding the matter. While canker sores are not harmful, they can disrupt your life.